Cameron Smith Defends his Australian PGA title tipped at 11/2! Cameron Smith Defends Australian PGA at 11/2! Cameron Smith became the first player since Robert Allenby in 2001 when he successfully defended his Australian PGA Championship as he held off his fellow Australian and World Cup of Golf partner Marc Leishman in emphatic style on the final day. We tipped him in our Australian PGA Championship tournament preview at 11/2. Heading into the final round of the tournament at the RACV Royal Pines Resort, Smith held a 3 shot advantage however the after the front 9 he found himself overtaken by fellow Australian Leishman and 2 adrift of the lead. He started his round in the worst possible way as he bogey’ed the first and after back to back pars the poor start got even worse as he bogey’d the par 4 5th. Meanwhile Marc Leishman had got his final round off to a great start with birdies on 4, 5 and 6 to go 1 clear at the top. Smith rallied in holes 5-9 and a birdie on 6 meant he managed to scramble to the turn 1 over par, however another birdie from Leishman on 8 meant he was 2 back of the lead and had it all to do in the back 9 if he was to defend his title. Cameron made a solid start to the back 9, making birdie at the Par 5 12th however so did Leishman so the hard work meant nothing on the leaderboard and still found himself 2 behind with just 6 holes to go. He made it back to back birdies on 13 and that seemed to have piled the pressure on his playing partner as from there Leishman collapsed. The par 3, 14th was the pivotal point as Cameron Smith made a solid par and leader Leishman made bogey. This proved to be a 2 shot swing and put the pair both in 15 under heading into the final 4 holes. Smith managed to seize the initiative with a near perfect wedge into 15, sticking it to within a few feet for the simplest of birdies. This put Leishman 1 behind with 3 to play and under the utmost pressure he buckled, making bogey at 16 to leave Smith 2 clear with 2 to play. 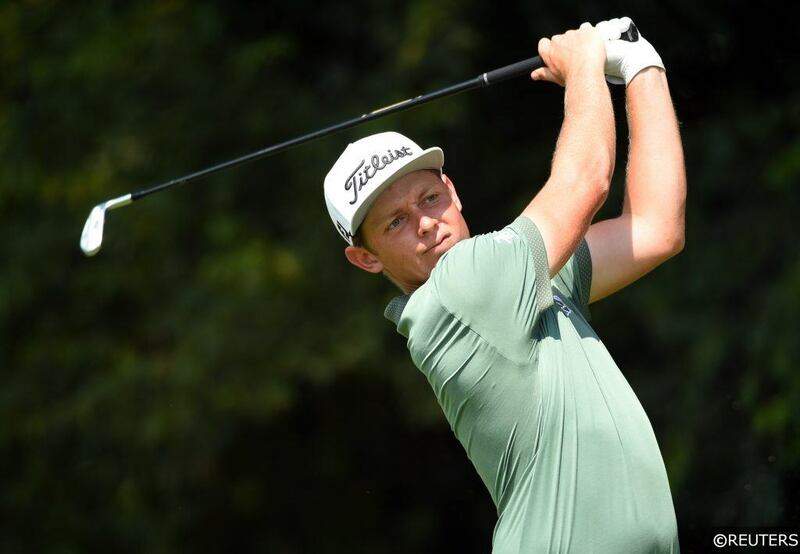 2 solid pars saw the young Australian defend his Australian PGA Championship title he won last year and become the first player to defend the tournament since Robert Allenby in 2001. Categories: FreeSuperTips Company News, Golf, and Tip Results. Sports: Golf.